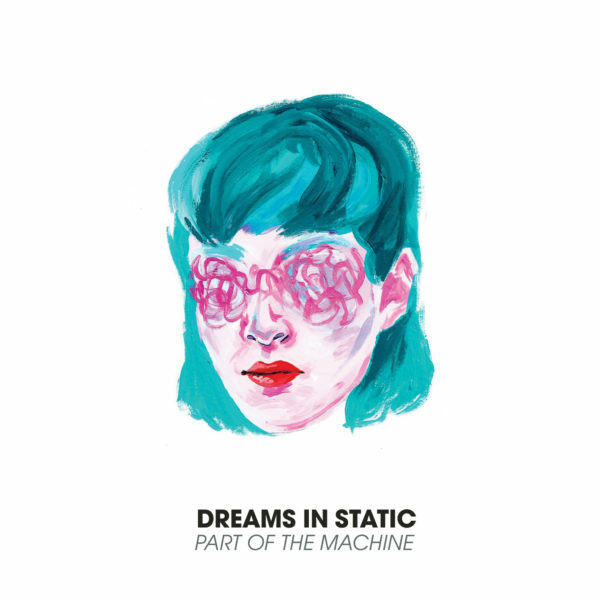 Dreams in Static’s much anticipated, and soon to be highly rated debut album, “Part of the Machine” which will be released June 27th! Part of The Machine resurrects the guitar and soul singing that pops in a world where popular music has been left in a state of static while simultaneously and seamlessly bringing diverse cultures together. After 400 remixes of Dreams in Static’s last single, You’re On Your Own, and close to one million Spotify plays, a music video premiere on the Wall Street Journal blog Speakeasy, that referenced the song as “a booming hip/hop soul track with a robust beat, sweeping hook and vocals with a tinge of raw anguish,” Dreams in Static announces the release of its debut album “Part of the Machine” on June 27, 2017. Featured throughout the album is Brooklyn-based soulful singer, Akie Bermiss, who brings his own signature sound to each song with hints of Smokey Robinson and TV on the Radio. His timeless dream-like voice breathes life and narratives into the Dreams in Static grooves. Produced by Los Angeles based hip-hop producer Diwon and multifaceted guitarist/composer, Dugans, “Part of the Machine” conjures up the aesthetics of Pulp Fiction & Curtis Mayfield. Dreams in Static partnered with Gospel choir singers Ashley Rachelle, Channing Holmes, and LaRhonda Jones from the Triedstone Missionary Baptist Church on three songs: Even When You Push Me Away, Which Way To Go (interlude), and Follow Me and Get Down which features Ashley Rachelle. When asked how Dreams in Static and the Triedstone choir singers came together, Ashley said “God kept pulling me to his place” (Erez Safar, a.k.a. Diwon’s Gallery 38, 1 block from Triedstone on West Adams Blvd, Los Angeles) I don’t know why. It’s just a feeling that I had where I needed to reach out and I told (Erez) about where our heart was in our project. He sent me a couple of his tracks and it felt good — it felt right. It felt like he was my homie from way back when. The temperament fit. That’s how it clicked. Long story short, it all just works together when you take that gut feeling that you have to make magic. We put two different worlds together but it just fit seamlessly. It just clicked.” The songs are like soundtracks to films in a genre somewhere beyond pop and yet simultaneously in admiration of pop as well. The walls of sound that flow throughout the Dreams in Static sessions are the balance of the three musicians: Akie, Diwon, and Dugans’ varied musical and personal backgrounds. Themes range from love and heartbreak to lust and existentialism. “Part of the Machine” resurrects the guitar and soul singing that pops in a world where popular music has been left in a state of static and midi sounds.